Say bye to tax season in minutes. 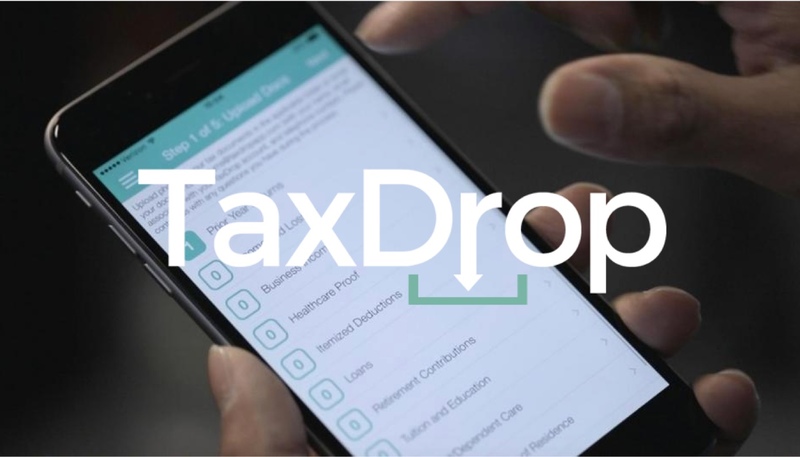 TaxDrop is a mobile app that connects you with a licensed CPA who prepares your tax return. Snap, upload, done. But even better: connect your bank account to have all possible deductions scanned and identified. Hands-free! Every year, 137 million people struggle to sort out documents needed for their tax returns. The tax code is complicated, convoluted, and confusing – that’s why an estimated 59.2% of Americans chose to enroll the help of a tax professional. Self-prepared returns’ error rate is as high as 37%. Self-filing software feels like self-diagnosing yourself via webMD instead of seeing a real doctor. The error rate for self-prepared returns is up to 28x greater than for paid-prepared returns. Consumers face two major hurdles when utilizing tax help: CPA and legal services’ web portals are tedious, and many tax preparers are unlicensed and unqualified to do their jobs. Welcome to efficiency. The first to seek true automation when filing taxes, TaxDrop doesn’t just make it easier to self-file or only more efficient for the preparer. It’s a step towards the real solution. Leave the taxes to the pros. 1. Snap photos of your tax docs. You have a W-2 form? Take a picture of that. Loan documents? That too. You can snap a pic of anything, no matter if it’s a form received in the mail or online (screenshots are okay!). 2. Fill out your profile (once). This is basic information that you already have on hand: current address, marital status, dependents, etc. 3. Send to TaxDrop. You’re done! One of TaxDrop’s CPAs will reach out if they need more info – virtually through a secured portal – all for your peace of mind. “Why should TaxDrop prepare my taxes”? TaxDrop speaks your language! We put tax language into plain English for you. We are just a text message away, no in-office appointment necessary. TaxDrop only uses CPAs. CPAs have standards to maintain, established at the state level, requiring hours of education and experience like doctors. They have the necessary education and understand the nuances of taxes in the U.S.
TaxDrop CPAs are experienced. TaxDrop works on tax returns for many clients, some who have more complicated forms than you do. You can be confident that they know their way around the tax code. Yay no pants! Kick back in your PJs at home. Snap TaxDrop pics casually during a commercial break on your couch. Treat yourself to that beer. Cheers. The industry grew over 2% between 2010 and 2015; faster growth is expected. CPA firms are on renovation fast-track to cope with the new demands of the digital age. More than +1 million users are using tax prep mobile applications. The market is truly in need of cheaper and faster tax solutions, but no clear winner has emerged. TaxDrop is well positioned to capture substantial market share and grow fast. Our focus is on making the client’s tax experience as comfortable and seamless as possible, which all consumers are rooting for. Investing in TaxDrop moves consumer experience with taxes towards automation and artificial intelligence. Our short-term vision is to make TaxDrop intelligent enough to scan your bank accounts, receipts, and tax documents to pull income and deductions real-time with CPA supervision, so you’ll know your refund before tax returns are due and withhold tax more precisely during the year. You won’t even know your tax returns are being prepared, because what is tax season? We offer our service on a pay-per-use basis, with three pricing models to better serve the market segments. with applications that add to the accounting and financial services assembly line (e.g. Painless1099). Suddenly, all expenses that users forgot they incurred throughout the year are being utilized to cut down tax liability, and they wouldn’t even need to lift a finger. We are always looking for ways to cut down total time spent on the consumer side. TaxDrop plans to use OCR technology and AI to identify and automatically populate the tax return, leaving the human talent for the review process. As TaxDrop connects to bank accounts and scans tax documents received, key numbers and information will be extracted, reorganized and populated into the tax software. It is no doubt that repetitive processes in any market or industry are being overtaken by automation and machine intelligence. TaxDrop encourages this efficiency and strives to be at the forefront of that innovation. A hybrid between self-filing and a CPA manually completing returns, in ten years’ time, we could even be working directly with the federal government to get your tax returns and refunds processed faster and more efficiently. “I graduated from Rutgers University in 2015 and passed all CPA exams within 3 months after graduation, becoming a licensed CPA in NY State. Right before that, I got invaluable experience at Deloitte, initially in enterprise services in 2013 and later moving to the famed tax department, and then quickly growing to become a Deloitte international tax consultant. That’s when I got the idea to solve the issue of filing taxes for busy people who don’t have the time or patience to deal with tax returns (as I found out, the majority of people). My friends who were in medical school or even finance professionals all felt lost when it came to taxes. During my days at Deloitte and my accounting practice back in college, I saw firsthand how inefficient the current process of using a paid-preparer is: clients would call to see when the next available appointment could be that also matched their schedules, they’d show up with a bag of receipts and papers only to be sent home when told the firm didn’t offer receipt organization services. Get on the TaxDrop train! We know the current taxprep system needs a lot of work and we know how to fix it. Help us accomplish our mission to connect taxpayers to the taxpros in the most efficient way. The smallest investment amount that TaxDrop is accepting. TaxDrop needs to reach their minimum funding goal before the deadline. If they don’t, all investments will be refunded. If a trigger event for TaxDrop occurs, the discount provision gives investors equity shares (or equal value in cash) at a reduced price. 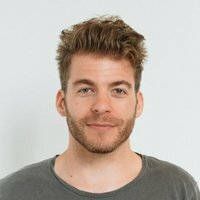 TaxDrop needs to raise $50K before the deadline. The maximum amount TaxDrop is willing to raise is $1.07M. 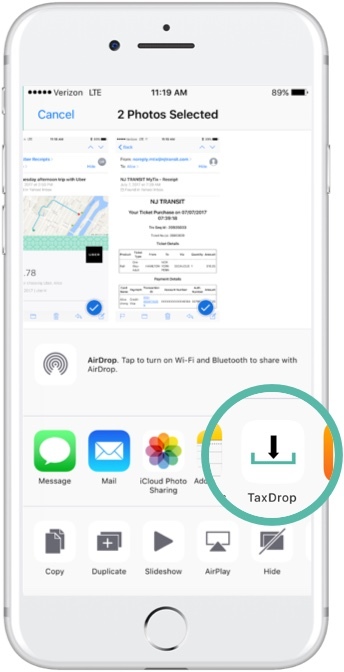 TaxDrop is a mobile app where users snap pics of tax documents, upload, and a licensed CPA prepares your tax return, getting you out of tax season in minutes. 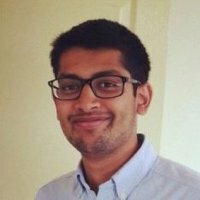 Do I have to choose my CPA? TaxDrop assigns a TaxDrop CPA to you. All are licensed CPAs and qualified to prepare your tax returns. We provide the quality, you provide the tax docs. Does TaxDrop only take 10 minutes? Yes, because TaxDrop is not self-preparation software so you're not doing the work! 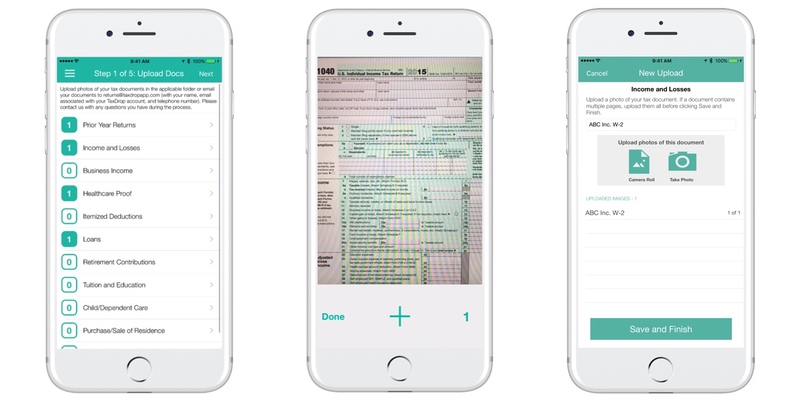 In roughly 10 minutes, you are done with the 4 easy steps in the app: snapping pics of tax documents, user profile, a short questionnaire for tax planning, bank info for your refund to auto-deposit. Who is already using TaxDrop? TaxDrop is available for download on the App Store. From finance to medical professionals, our current customers find themselves relieved of their tax return burden and their questions answered by a CPA. 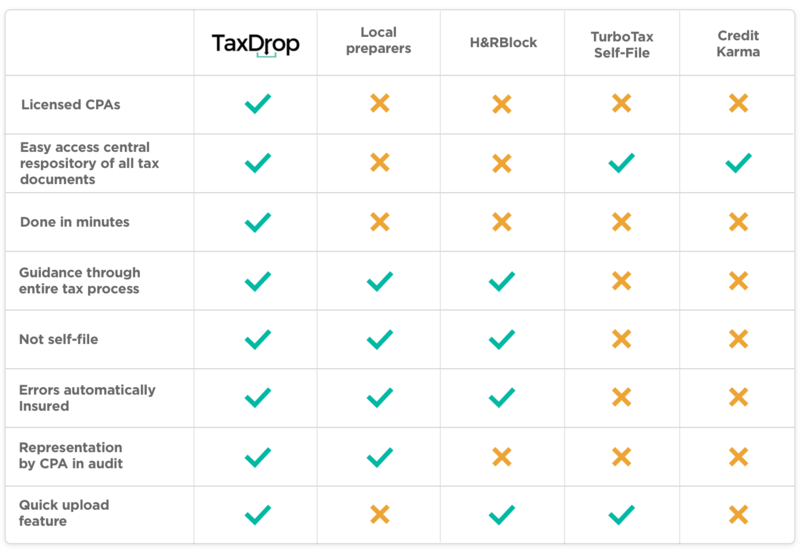 How is TaxDrop different than other tax options? TaxDrop is not self-prep software (think TurboTax) and only uses licensed CPAs to prepare your tax return. Building off the current app offered today, it is our short-term plan to create a truly automated tax season. When your tax documents and bank accounts are connected and scanned by OCR and AI technology, your return can be automatically populated and reviewed by the CPA (think a machine diagnosing your illness, followed by confirmation by your actual Doctor). Turns out consumers are already paying a decent sum for their tax returns, from TurboTax to human preparers. TaxDrop offers competitive pricing, but the most important asset saved is the consumer's time. Certified Public Accountant. The license is awarded to accountants who pass all 4 sections of the CPA exam, graduate with 150 relevant credits in accounting, and complete various hours of practice in public accounting (depending on the state of licensure). Continuing education credits are necessary to maintain the license each year. Currently, Alice serves as the only TaxDrop tax preparer. As TaxDrop prepares to scale, the plan is to expand the team of in-house CPAs or use contracted CPAs, depending on what funding allows. Is travel included in the perks? While we would love to, that isn't in our budget for product development. You can arrange for a 1:1 call or video chat with the Founder instead. We were incorporated under the laws of Delaware on July 13, 2017. Accordingly, we have no history upon which an evaluation of our prospects and future performance can be made. A predecessor to the Company was TaxDrop LLC, a New Jersey limited liability company formed on January 20, 2016. On August 24, 2017, the Company acquired a 100 percent membership interest of TaxDrop LLC. Much of 2016 was spent in the mobile application development process and TaxDrop LLC gained a limited number of customers in 2017. Our proposed operations are subject to all business risks associated with new enterprises. The likelihood of our creation of a viable business must be considered in light of the problems, expenses, difficulties, complications, and delays frequently encountered in connection with the inception of a business, operation in a competitive industry, and the continued development of advertising, promotions, and a corresponding customer base. We anticipate that our operating expenses will increase for the near future. There can be no assurances that we will ever operate profitably. You should consider the Company's business, operations and prospects in light of the risks, expenses and challenges faced as an early-stage company. Our industry is characterized by rapid and significant technological developments, frequent new product introductions and enhancements, continually evolving business expectations and swift changes. To compete effectively in such markets, we must continually improve and enhance its products and services and develop new technologies and services that incorporate technological advances, satisfy increasing customer expectations and compete effectively on the basis of performance and price. Our success will also depend substantially upon our ability to anticipate, and to adapt our products and services to our collaborative partner's preferences. There can be no assurance that technological developments will not render some of our products and services obsolete, or that we will be able to respond with improved or new products, services, and technology that satisfy evolving customers' expectations. Failure to acquire, develop or introduce new products, services, and enhancements in a timely manner could have an adverse effect on our business and results of operations. Also, to the extent one or more of our competitors introduces products and services that better address a customer's needs, our business would be adversely affected. We may face competition from other companies that offer innovative tax preparation technologies, which could result in loss of our existing business and adversely impact our ability to successfully market additional products and services. Technical developments, customer requirements, programming languages, and industry standards change frequently in our markets. As a result, success in current markets and new markets will depend upon our ability to enhance current products, address any product defects or errors, acquire or develop and introduce new products that meet customer needs, keep pace with technology changes, respond to competitive products, and achieve market acceptance. Product development requires substantial investments for research, refinement, and testing. We may not have sufficient resources to make necessary product development investments. We may experience technical or other difficulties that will delay or prevent the successful development, introduction, or implementation of new or enhanced products. We may also experience technical or other difficulties in the integration of acquired technologies into our existing platform and applications. Inability to introduce or implement new or enhanced products in a timely manner could result in loss of market share if competitors are able to provide solutions to meet customer needs before we do, give rise to unanticipated expenses related to further development or modification of acquired technologies as a result of integration issues, and adversely affect future performance. Consumer preferences our products change continually. Our success depends on our ability to predict, identify, and interpret the tastes and habits of consumers and to offer products that appeal to consumer preferences. If we do not offer products that appeal to consumers, our sales and market share will decrease. We must distinguish between short-term fads, mid-term trends, and long-term changes in consumer preferences. If we do not accurately predict which shifts in consumer preferences will be long-term, or if we fail to introduce new and improved products to satisfy those preferences, our sales could decline. If we fail to expand our product offerings successfully across product categories, or if we do not rapidly develop products in faster growing and more profitable categories, demand for our products could decrease, which could materially and adversely affect our product sales, financial condition, and results of operations. Failure to obtain new customers or renew customer contracts could adversely affect results of operations. We may face pricing pressure in obtaining and retaining our customers. Our customers may be able to seek price reductions from us when they renew a contract, when a contract is extended, or when the customer's business has significant volume changes. They may also reduce services if they decide to move services in-house. This reduction in revenue could result in an adverse effect on our business and results of operations. Due to fluctuations in customer needs and timing of tax preparation deadlines, customer demand for the range of our offerings varies from time to time and is not predictable. For example, customer demand would be higher in the first two quarters of our fiscal year due to the nature of tax return due dates. Generally, the profitability of an account increases over time. You should not rely on the results of any one quarter as an indication of our future performance. There are substantial risks and uncertainties associated with these efforts, particularly in instances where the markets are not fully developed. In developing and marketing new lines of business and/or new products and services, we may invest significant time and resources. Initial timetables for the introduction and development of new lines of business and/or new products or services may not be achieved and price and profitability targets may not prove feasible. We may not be successful in introducing new products and services in response to industry trends or developments in technology, or those new products may not achieve market acceptance. As a result, we could lose business, be forced to price products and services on less advantageous terms to retain or attract customers, or be subject to cost increases. As a result, our business, financial condition or results of operations may be adversely affected. 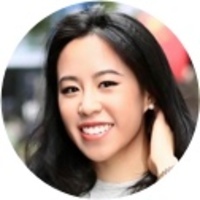 In particular, the Company is dependent on Alice Cheng, who has been CEO of the Company since July 17, 2017 and was the sole member and manager of TaxDrop LLC, a predecessor to the Company, since it was formed on January 20, 2016. The Company has entered into an employment agreement with Alice Cheng, and has issued her equity subject to a 4-year vesting period, although there can be no assurance that she will continue to be employed by the Company for a particular period of time. The loss of Alice Cheng or any member of the board of directors or executive officer could harm the Company's business, financial condition, cash flow and results of operations. The Company is dependent on Alice Cheng in order to conduct its operations and execute its business plan, however, the Company has not purchased any insurance policies with respect to those individuals in the event of their death or disability. Therefore, in the event Alice Cheng dies or becomes disabled, the Company will not receive any compensation to assist with such person's absence. The loss of such person could negatively affect the Company and its operations. If we fail to attract and retain enough sufficiently trained customer service associates, CPAs, accountants, and other tax preparers ("TaxDrop Talent") to support our operations, our business and results of operations will be seriously harmed. We rely on TaxDrop Talent, and our success depends to a significant extent on our ability to attract, hire, train and retain qualified TaxDrop Talent. Companies in our industry, including us, experience high employee attrition. Our failure to attract, train and retain TaxDrop Talent with the qualifications necessary to fulfill the needs of our existing and future customers would seriously harm our business and results of operations. Once our products are deployed within our end-customers' operations, end-customers depend on our technical support services to resolve any issues relating to these products. If we do not effectively assist our customers in deploying these products, succeed in helping our customers quickly resolve post-deployment issues, and provide effective ongoing support, our ability to sell additional products and services to existing customers would be adversely affected and our reputation with potential customers could be damaged. As a result, our failure to maintain high quality support services would have an adverse effect on our business and results of operations. Our ability to implement and provide our applications and services to our customers depends, in part, on services, goods, technology, and intellectual property rights owned or controlled by third parties. These third parties may become unable to or refuse to continue to provide these services, goods, technology, or intellectual property rights on commercially reasonable terms consistent with our business practices, or otherwise discontinue a service important for us to continue to operate our applications. If we fail to replace these services, goods, technologies, or intellectual property rights in a timely manner or on commercially reasonable terms, our operating results and financial condition could be harmed. In addition, we exercise limited control over our third-party vendors, which increases our vulnerability to problems with technology and services those vendors provide. If the services, technology, or intellectual property of third parties were to fail to perform as expected, it could subject us to potential liability, adversely affect our renewal rates, and have an adverse effect on our financial condition and results of operations. Costs associated with information security, such as investment in technology, the costs of compliance with consumer protection laws and costs resulting from consumer fraud, could cause our business and results of operations to suffer materially. Additionally, the success of our online operations depends upon the secure transmission of confidential information over public networks, including the use of cashless payments. The intentional or negligent actions of employees, business associates or third parties may undermine our security measures. As a result, unauthorized parties may obtain access to our data systems and misappropriate confidential data. There can be no assurance that advances in computer capabilities, new discoveries in the field of cryptography or other developments will prevent the compromise of our customer transaction processing capabilities and personal data. If any such compromise of our security or the security of information residing with our business associates or third parties were to occur, it could have a material adverse effect on our reputation, operating results and financial condition. Any compromise of our data security may materially increase the costs we incur to protect against such breaches and could subject us to additional legal risk. We receive, collect, process, transmit, store and use a large volume of personally identifiable information and other sensitive data from customers and potential customers. There are federal, state and foreign laws regarding privacy, recording telephone calls and the storing, sharing, use, disclosure and protection of personally identifiable information and sensitive data. Specifically, personally identifiable information is increasingly subject to legislation and regulations to protect the privacy of personal information that is collected, processed and transmitted. Any violations of these laws and regulations may require us to change our business practices or operational structure, address legal claims and sustain monetary penalties and/or other harms to our business. The regulatory framework for privacy issues in the United States and internationally is constantly evolving and is likely to remain uncertain for the foreseeable future. The interpretation and application of such laws is often uncertain, and such laws may be interpreted and applied in a manner inconsistent with our current policies and practices or require changes to the features of our platform. If either we or our third party service providers are unable to address any privacy concerns, even if unfounded, or to comply with applicable laws and regulations, it could result in additional costs and liability, damage our reputation and harm our business. We developed our enterprise risk management program, including substantially expanded regulatory compliance policies and procedures. We expect to continue to do so in the future. The goal of enterprise risk management is not to eliminate all risk, but rather to identify, assess and rank risk. The goal of regulatory compliance policies is to have formal written procedures in place that are intended to reduce the risk of inadvertent regulatory violations. Nonetheless, our efforts to identify, monitor and manage risks may not be fully effective. Many of our methods of managing risk and exposures depend upon the implementation of federal and state regulations and other policies or procedures affecting our customers or employees. Management of operational, legal and regulatory risks requires, among other things, policies and procedures, and these policies and procedures may not be fully effective in managing these risks. While many of the risks that we monitor and manage are described in this Risk Factors section of this Memorandum, our business operations could also be affected by additional factors that are not presently described in this section or known to us or that we currently consider immaterial to our operations. Our payment processors and disbursement partners have experienced service outages or an inability to connect with our processing systems and this may reoccur in the future. If a payment processor experiences a service outage or service interruption that results in our being unable to collect funds from customers, our liquidity could be harmed and we may not meet our capital requirements. We do not directly access the ACH system or payment card networks such as Visa and MasterCard, which systems enable our acceptance of bank account-funded transactions, credit cards and debit cards. As a result, we rely on banks and other payment processors and disbursement partners to process transactions. In the event of service outages in the payment card or ACH networks, or if our payment processors or disbursement partners were unable to access the payment card or ACH networks, our business would be harmed. We operate in a highly regulated environment, and if we are found to be in violation of any of the federal, state, or local laws or regulations applicable to us, our business could suffer. We are also subject to a wide range of federal, state, and local laws and regulations, such as local licensing requirements, and retail financing, debt collection, consumer protection, environmental, health and safety, creditor, wage-hour, anti-discrimination, whistleblower and other employment practices laws and regulations and we expect these costs to increase going forward. The violation of these or future requirements or laws and regulations could result in administrative, civil, or criminal sanctions against us, which may include fines, a cease and desist order against the subject operations or even revocation or suspension of our license to operate the subject business. As a result, we have incurred and will continue to incur capital and operating expenditures and other costs to comply with these requirements and laws and regulations. We are subject to income taxes as well as non-income based taxes, such as payroll, sales, use, value-added, net worth, property and goods and services taxes, in both the U.S. and individual states. Our past operating results may not be accurate indicators of future performance, and you should not rely on such results to predict our future performance. Our operating results have fluctuated significantly in the past, and could fluctuate in the future. Factors that may contribute to fluctuations include: ´ changes in aggregate capital spending, cyclicality and other economic conditions, or domestic and international demand in the industries we serve; ´ our ability to effectively manage our working capital; ´ our ability to satisfy consumer demands in a timely and cost-effective manner; ´ pricing and availability of labor and materials; ´ our inability to adjust certain fixed costs and expenses for changes in demand; ´ shifts in geographic concentration of customers, supplies and labor pools; and ´ seasonal fluctuations in demand and our revenue. Our revenues are generated primarily from servicing customers seeking to hire qualified professionals in the finance sectors. Demand for these professionals tends to be tied to economic and business cycles. Increases in the unemployment rate, specifically in the finance and other vertical industries we serve, cyclicality or an extended downturn in the economy could cause our revenues to decline. Therefore, our operating results, business and financial condition could be significantly harmed by an extended economic downturn or future downturns, especially in regions or industries where our operations are heavily concentrated. Further, we may face increased pricing pressures during such periods as customers seek to use lower cost or fee services, which may adversely affect our financial condition and results of operations. Cyclical and seasonal fluctuations in the tax preparation market may have an effect on our business. Both cyclical and seasonal fluctuations in tax preparation demand seasonality may affect our business. Tax preparation demand and usage of the TaxDrop product generally slows outside of the typical tax preparation months, and queries typically increase significantly in the first and second quarters of each year. These seasonal trends may cause fluctuations in our quarterly results, including fluctuations in revenues. The Series 2017A SAFE (Simple Agreement for Future Equity) will not be freely tradable until one year from the initial purchase date. Although the Series 2017A SAFE (Simple Agreement for Future Equity) may be tradable under federal securities law, state securities regulations may apply and each Purchaser should consult with his or her attorney. You should be aware of the long-term nature of this investment. There is not now and likely will not be a public market for the Series 2017A SAFE (Simple Agreement for Future Equity). Because the Series 2017A SAFE (Simple Agreement for Future Equity) have not been registered under the Securities Act or under the securities laws of any state or non-United States jurisdiction, the Series 2017A SAFE (Simple Agreement for Future Equity) have transfer restrictions and cannot be resold in the United States except pursuant to Rule 501 of Regulation CF. It is not currently contemplated that registration under the Securities Act or other securities laws will be effected. Limitations on the transfer of the Series 2017A SAFE (Simple Agreement for Future Equity) may also adversely affect the price that you might be able to obtain for the Series 2017A SAFE (Simple Agreement for Future Equity) in a private sale. Purchasers should be aware of the long-term nature of their investment in the Company. Each Purchaser in this Offering will be required to represent that it is purchasing the Securities for its own account, for investment purposes and not with a view to resale or distribution thereof. In a dissolution or bankruptcy of the Company, Purchasers of Securities which have not been converted will be entitled to distributions as if they were common stock holders. This means that such Purchasers will be at the lowest level of priority and will only receive distributions once all creditors as well as holders of more senior securities, including any preferred stock holders, have been paid in full. If the Securities have been converted into CF Shadow Securities, the Purchasers will have the same rights and preferences (other than the ability to vote, as well as certain other rights which will be based upon the rate at which the Securities convert into CF Shadow Securities) as the holders of the Securities issued in the equity financing upon which the Securities were converted. I've generally been frustrated with tax prep software for years. I like the mobile focus and am hopeful it will be user friendly for us 1099 contractors! i actually asked turbotax for this take-a-pic of tax docs capability and they never built it. if this works as well as turbotax does with files-from-logged-in accts like schwab, this app should do very well! TaxDrop is an innovative and more efficient way of preparing taxes. Millions of people will use this service, hopefully. I really like this idea but i can't use it with business taxes yet. I invested because of TaxDrop can save lots of time and money in tax return for personal and companies. As a seasoned Tax Accountant I have been waiting for someone to do this, its inevitable, and from the pitch I think that TaxDrop is ready. Everyone needs to file their taxes, myself included. I absolutely abhor doing them myself, and this process seems highly efficient and innovative. It would be perfect for someone with a busy life, like myself. Efficiency/accuracy are key to success. I am the founder & CEO of a global cosmetic company. In business, it is extremely crucial to make any complicated process simple. TaxDrop will change the entire tax filling industry. It is surely the Number 1 blockbuster APP in the market. I am in! Great space for disruption. Big market. Diverse team. I like the the software.. This is great for people that don't want to deal with manual prep or using tax prep software. I truly believe that even with a barely complex tax situation AND using software like TurboTax, your tax prep could be wrong. Simple idea that has been a long time coming. Looks like a valuable service. Since 1954 I have always done my taxes. It takes about two days to do my taxes, so I may try tax drop this year. My tax situation already calls for more than TurboTax can offer. Glad to invest in a service I plan to use anyway, everyone wins! I'm a former international tax lawyer, was a director at a Big4 and I understand the value of the product. I also have a good gut feel about the founder. Tax and life are synonymous. I am hoping of better ROI from this life-easing tech VC that caters on tax returns of ones life's work. The concept as presented seemed sound and there are already paying customers. I believe that people hate doing their taxes and this is something that we make our lives easier. Let's face it, we can't get out of doing our taxes, unless you're Donald Trump! I believe everyone will need this service. You know how they say there are only two certainty in life: death and taxes. Well, TaxDrop certainly brings death to the dreaded tax season. I believe in the platform and the concept. Having worked in both the domestic & international fields of tax prep, planning and shelters for over 50 years, can see enormous possibilities in your planned operation. Invested $100 for starters. I believe that human+machine is the future. I believe in the founder and the idea. It's a great way to connect the younger working class with a solution to their tax needs! Filing taxes is annoying. For busy entrepreneurs like me solutions like TaxDrop are a major win.